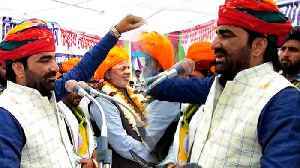 Gujjar leader Kirori Singh Bainsla refused to call off the agitation for a government quota on Thursday, saying the bill passed in the Rajasthan Assembly to meet their demand could face legal..
▶ Videos for "Rajasthan Assembly"
BJP president Amit Shah held a presser in Jaipur ahead of the Rajasthan Assembly elections. 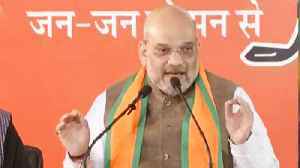 Amit Shah said, &quot;I am sure we will form government in the state with full majority with Vasundhara..
Rajasthan will have assembly elections on December 7. Before the elections, Congress is now a challenge for the BJP. 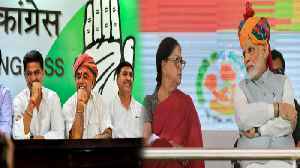 At the same time this time Congress has attacked CM Vasundhara Raje in social media..
Rajasthan : BJP and Congress are constantly campaigning for Rajasthan assembly elections. 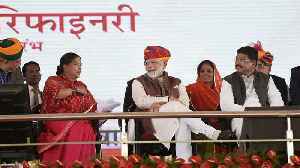 On Monday, Vasundhara Raje addressed the public meeting in support of party candidate Manju Khairwal in Hindoan.. In the Rajasthan assembly elections, Congress is responding to BJP's Hindutva agenda with its Hindutva agenda. 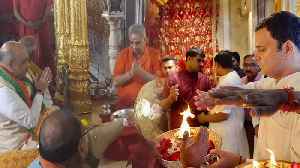 Congress President Rahul Gandhi is going to the temple in the campaigning and its effect..
Rajasthan Vidhan Sabha is Haunted. As per the report, MLAs are afraid of Rajasthan Assembly and calls for purification puja. 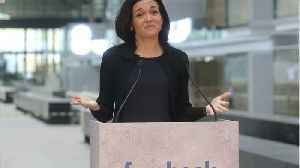 Watch the video and know the whole story. 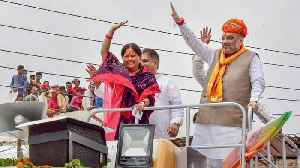 Rajasthan : The BJP's troubles, which are facing the wrath of the Rajputs even before the Rajasthan assembly elections, can now be further increased. 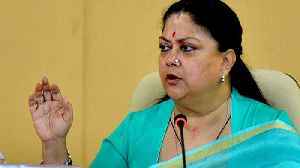 Rajputs are being annoyed with the quarrels of..
Rajasthan will have assembly elections on December 7. BJP and Congress are making every effort to gain power. 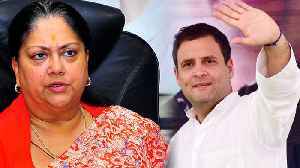 Rajasthan Chief Minister Vasundhara Raje is afraid of losing power this time. 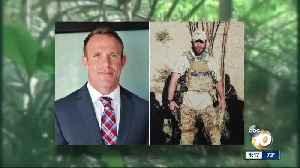 At the same.. 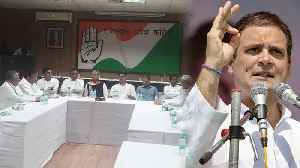 The Congress today released its second list of candidates for the upcoming Rajasthan assembly election. 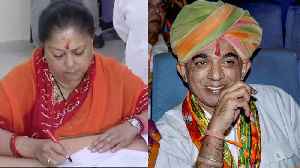 Manvendra Singh, the son of former Union minister Jaswant Singh, will contest against CM..
Rajasthan:Rajput's resentment with Vasundhara Raje in the Rajasthan assembly elections is increasing the concern of the BJP. 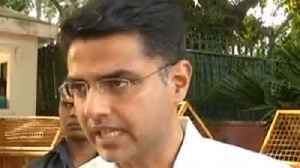 In this way, BJP is trying to make a place in the hearts of Rajputs on the..
Rajasthan:Both Sachin Pilot and Ashok Gehlot will contest the December 7 Rajasthan election, the Congress party has decided as it tackles a much-reported rift between its two top leaders in the state,..
Rajasthan:Just a few days before the Rajasthan Assembly polls, an internal fight has broken in the state unit of the Congress party over ticket distribution.According to the sources, on Tuesday night,..
Congress is preparing for victory in the Rajasthan assembly elections. Meanwhile, the candidate Rahul Gandhi has prepared a new team to teach the candidates the speech. The secretaries in charge of..
Rajasthan assembly elections are coming. In such a scenario, Congress has given full power to victory. 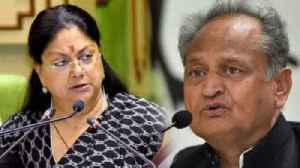 But do you know that Congress veteran and two times Chief Minister of Rajasthan, Ashok Gehlot was..
Rajasthan assembly election are coming, Now CM Vasundhara Raje will go to the people's house for vote. Not only this, all the star campaigners of BJP have been entrusted with the task of spreading the..
Rajasthan:Prior to the Rajasthan assembly elections, both the BJP and the Congress are busy in rallies, while BJP MLAs are getting threatened to kill them on the mobile. 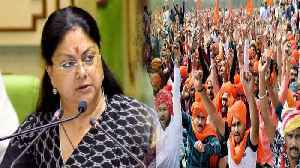 Taking the issue seriously, the..
Before the Rajasthan assembly elections, there is bad news for CM Vasundhara Raje, this time in the BJP's Jhalarapatna Assembly constituency in Vasundhara Raje, the condition of BJP is not well. 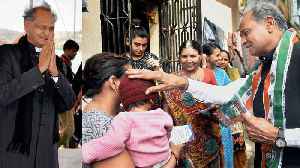 At the..
Before the Rajasthan assembly elections, political war is going on in the BJP-Congress.Both parties are engaged in breaking each other's leaders.Meanwhile many of the Congress leaders are joining BJP,..
During the Rajasthan assembly elections, there will be no longer lines to watch on the polling booth. This time the Queueless voting system will be adopted for the convenience of voters. For this, a..
Rajasthan:Congress President Rahul Gandhi is going on a two-day tour of the state today, during the growing stirring of the Rajasthan assembly elections. 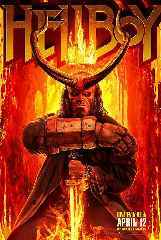 In this tour, he will hold a public meeting at.. The amendments were passed with voice vote even as BJP legislators in opposition registered their protest against the move as a step back from development. BJP government had introduced educational..
Interestingly, BJP and Congress legislators, both, avoided raising the issue of Gurjar reservation and the protest by the community members on the floor of the House. 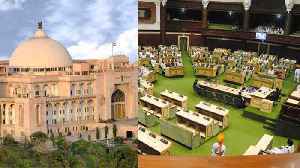 The Rajasthan Assembly was adjourned for an hour on the first day of its Budget Session on Monday amid uproar by the opposition demanding farm loan waiver and reservation for Gujjar community. 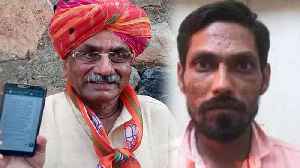 A total of 20 candidates were in the fray from this seat but the main contest was between Congress’ Shafia Zubair Khan, BJP’s Sukhwant Singh and BSP’s Jagat Singh. The state Assembly also has 158 crorepati winners. 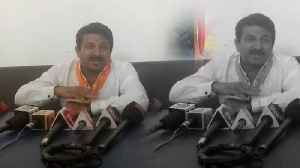 Former minister and BJP legislator Rajendra Rathore tried to corner the government on the Food Security Scheme (FSS). 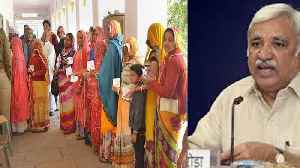 Ashok Gehlot regime deciding to pass a resolution to seek 33 per cent reservation for women in the assembly. Leader of Opposition Gulab Chand Kataria asked Rajasthan Chief Minister Ashok Gehlot to specify how many farmers had benefitted from the loan waiver and how much money had been deposited in their bank..
Joshi, with over 38 years behind him in the political arena, is one of the senior most MLAs in the Assembly. 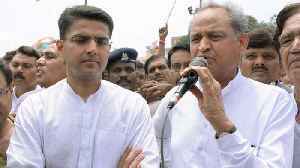 A Congress legislator from Nathdwara, Joshi was named for the post by the party's top leadership. Out of 199 legislators, 197 took oath on day 1 of the new vidhan sabha. 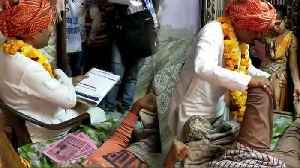 some like gangadevi fumbled while reading out the pledge, while others like Ashok lahoti took the oath in sanskrit. Kataria was first elected as MLA in 1977, then in 1980. 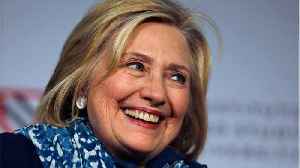 He has won all assembly elections since 1993, remaining a member of the house. The Rajasthan exit polls are in and across the board, it looks like the Vasundhara Raje-led BJP government is on its way out. 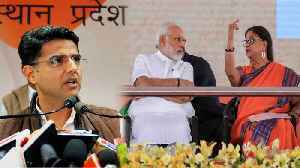 Days after the Rajasthan poll results, the opposition BJP is yet to decide on who would lead it in the state assembly. The result for the Rajasthan elections was declared on 11 December. The comments of Ramdev, who is considered close to BJP, come days after the party's defeat in Chhattisgarh, Madhya Pradesh and Rajasthan assembly elections. Referring to the Ayodhya dispute, Ramdev..
439 out of 597 of the crorepati candidates in the recently-concluded Rajasthan elections lost the polls. 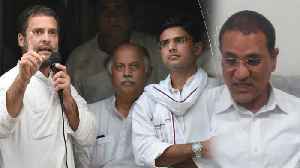 In anticipation of their leader becoming the next CM, a lot of Congress supporters of both Sachin Pilot and Ashok Gehlot came to the porch of the airport area. Yoga guru Ramdev said Wednesday that no one raise doubts about Prime Minister Narendra Modi's leadership and policies, the statement coming a day after the reverses suffered by the Bharatiya Janata..